I went to the Farmers Market this week and I scored some great veggies. 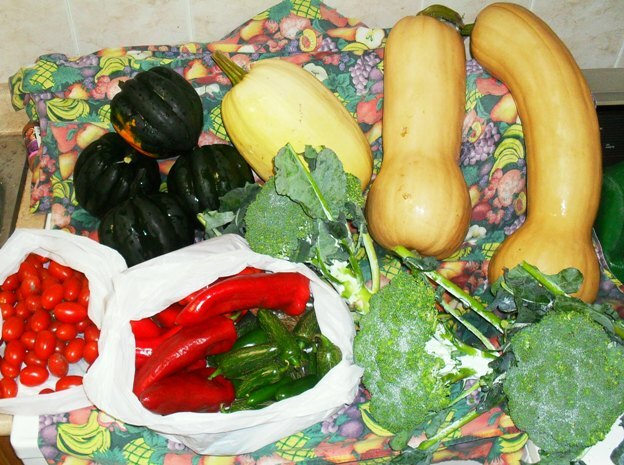 I bought red peppers, jalapeno peppers, grape tomatoes, broccoli, acorn squash, spaghetti squash and butternut squash. Here’s a first for me this week. I froze broccoli. I blanched the broccoli and then put it in an ice bath, drained it and frozen them on a cookie sheet. I’ll let you know how that tastes this week.I made this squash the other night and I wanted to share it with you all. It was delicious! You know fall is in the air when all these squash recipes start popping up. Acorn squash microwaved & scored with salt & pepper. Slice the squash in half (vertically, through the stem). 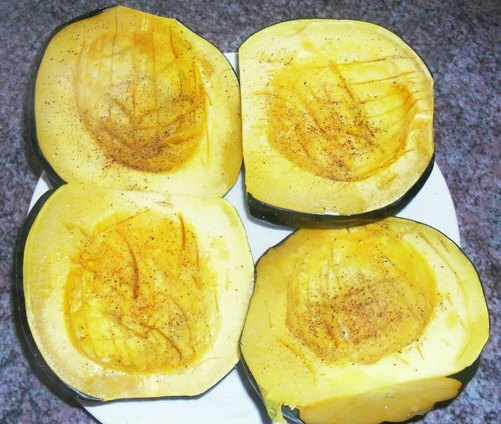 Remove the seeds and place the squash face up in a microwave-safe dish. Season with salt and pepper. Cover and microwave 10-12 minutes, or until tender.Cook the sausage in a skillet over medium-high heat, breaking it apart with a spatula. When the sausage is browned nicely, remove from skillet.Add the olive oil, onion, pepper, celery and carrots. spinach to the skillet and cook 5 minutes. 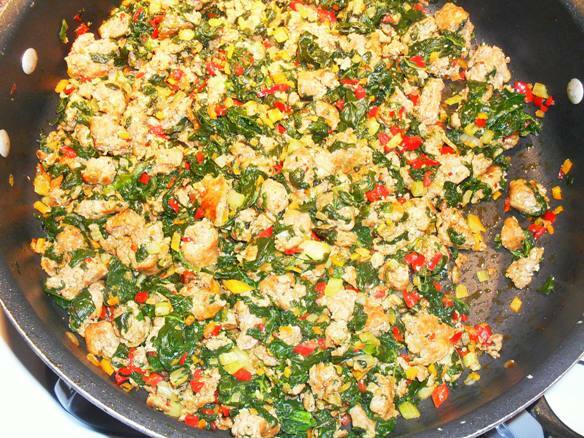 Return the sauasge to the skillet and mix well with the vegetables. Add the rosemary and garlic. Mix well. Stuff each half with the sausage mixture. Bake for 30 minutes in a 400 degree F oven. 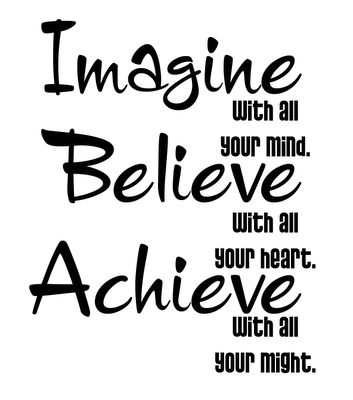 Remove when warmed through and slightly browned on top. 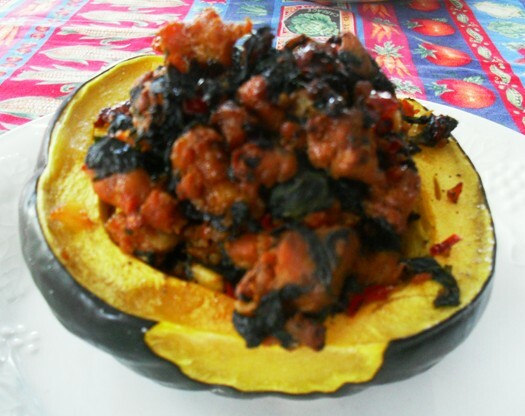 What’s your favorite squash recipe?